If you’re familiar with the urban heat island effect, chances are you’re not a fan. It’s that oppressive quality to the air in the Target parking lot that can only be combatted by a trip to the nearest park. But the trees growing in that park may actually be benefitting from the heat. Sometimes. A major analysis of urban and rural trees in ten metropolitan areas around the world—the first study of its kind—has come to a surprising conclusion. Despite the noise pollution, the actual pollution, and all of the other challenges associated with city life, on average urban trees seem to be growing faster than their rural counterparts. The study authors can’t say exactly why this is, but they think it has something to do with the sultry air. The story, however, gets more complicated when you look at different parts of the world individually. The study, which was led by researchers at the Technical University of Munich, involved analyzing growth rates from tree rings for nearly 1,400 individual trees from ten metropolitan and neighboring rural settings around the world. The cities, including Berlin, Paris, Houston, Santiago de Chile, Cape Town, and more, were selected to encompass four major climate zones: boreal, temperate, Mediterranean, and subtropical. Overall, the authors found that growth rates of both urban and rural trees have increased modestly since the 1960s. What’s more, on average urban trees grew up to 25 percent faster than their rural counterparts. But when broken down by individual climate zone, things got more complicated. In the boreal forest, urban trees consistently grew more vigorously than their rural neighbors. In the subtropics, however, urban trees grew faster than rural trees before the 1960s, but the two groups have grown at similar rates since. There wasn’t a significant growth difference between urban and rural trees in the Mediterranean, and in the temperate climate zone, urban trees actually grew slower. So, what does it all mean? It’s a bit hard to say, because this study only looked at patterns in tree growth over time—it didn’t attempt to pinpoint the underlying drivers. But the authors have a pretty good idea of a few likely factors. The global uptick in tree growth rates since the 1960s is best explained by the effects of human carbon emissions—which can boost plant growth directly via the CO2 fertilization effect, and cause the growing season to lengthen via climate change. Within city limits, where urban trees are growing faster than rural ones, the authors suggest the urban heat island effect may be to blame. In the case of temperate forests, where trees grew more poorly in cities, other factors such as water stress and soil quality may be more important than the temperature. 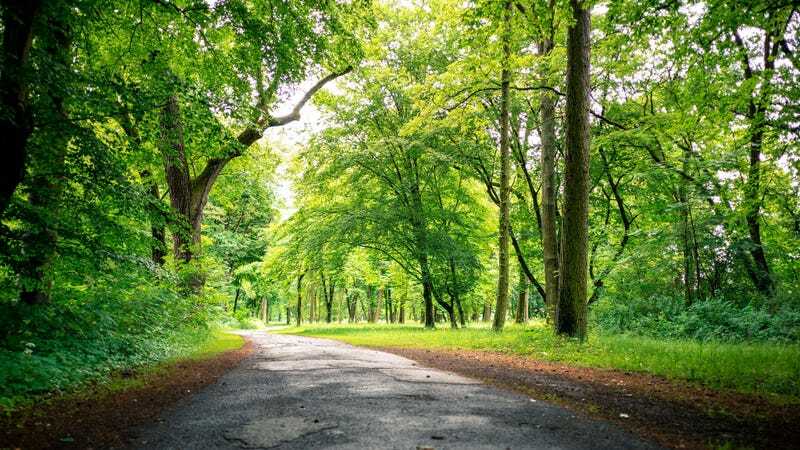 Overall, the growth rate difference between urban and rural trees declined as trees aged, which may indicate increased water stress in cities as trees get bigger. But mostly, this is informed speculation. More research is needed to suss out why exactly urban and rural trees grow at different rates—and those factors could vary substantially from location to location. Indeed, if there’s one thing that’s clear from the study, it’s that we ought be paying more attention to the effects of urbanization on trees. After all, trees are a vital part of the urban ecosystem, impacting everything from air quality to quality of life. They’ll only become more important as the world’s urban populations continue to grow.